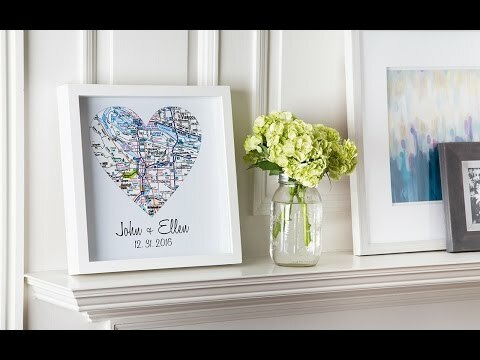 Frame the place that’s near and dear to their heart. 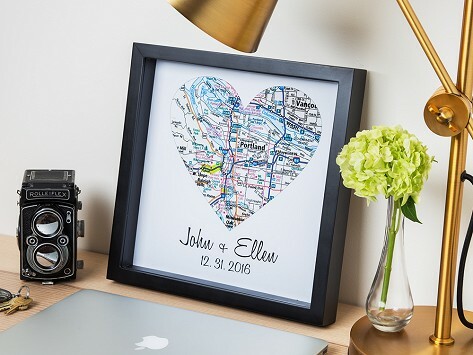 This custom map art includes a heart shaped cutout, a date, and the name(s) you choose. The entire design is given dimension inside a shadow box frame, Celebrate a wedding, graduation, anniversary, or special occasion by showing your allegiance to a special time and place. This was a wedding gift. I loved the way it looked and so did the bride and groom! So cool I bought another! High quality! Captures a memorable moment.